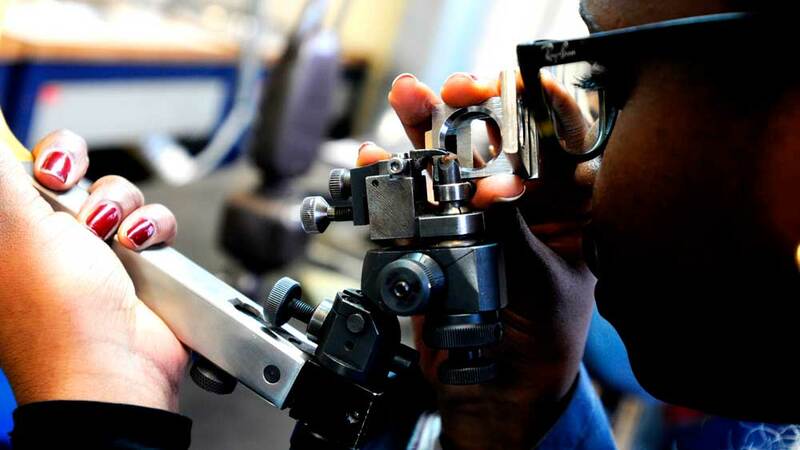 The diamond making process starts up to 90-140 miles beneath the earth’s surface. It’s no surprise, then, that cut diamonds as we know them today are a long way removed from how they looked when first discovered. So what is a rough diamond, and why do we insist on buying the cut and polished version? A diamond crystal contains only one substance, carbon. Trace elements of other things may be present but in very small quantities. It is these trace elements which can give diamonds their color. Despite the age-old myth, though, coal plays no part in the creation of diamonds. Instead, extreme heat and pressure deep in the earth causes carbon atoms to fuse together in a very specific structure. These then cool quickly and crystals form. These crystals are what we know as rough diamonds. There are basically two types of rough diamonds, gem quality and industrial. Technically, there’s a third, but they are really just the poorest quality industrial diamonds which end up as dust in super-abrasive applications. 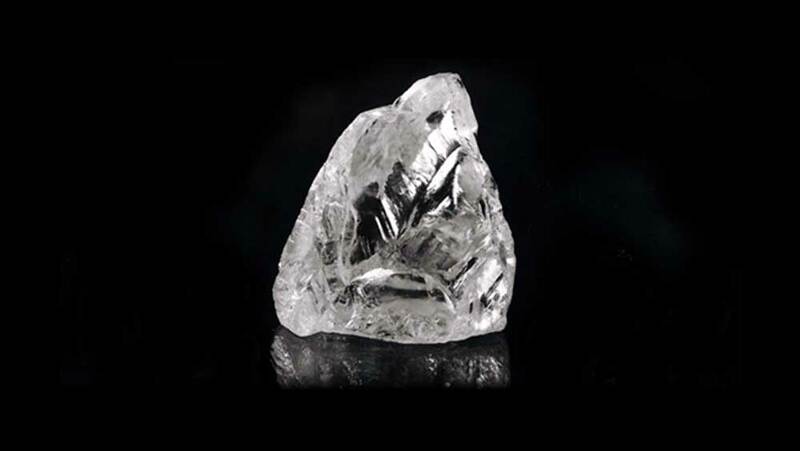 Rough diamonds usually resemble lumps of pale colored glass. They often have an oily appearance and don’t sparkle. Very few rough diamonds are actually gem quality. Only those with the very palest colors, or are colorless will pass the test. Before we say anything else, the chances of you finding a rough diamond while out on a stroll is about a billion to one. Surface, or alluvial, diamonds are extremely rare and only occur in known diamond mining areas. However, that doesn’t mean you’ll never see one. Rough diamonds are becoming increasingly popular for use in jewelry in their natural state. As a result, some stores now stock them for sale. The problem is that it’s not always easy to separate a rough diamond from things like quartz or even colored glass without knowing what to look for. The easiest test is the scratch test. If a supposed rough diamond can be scratched by anything other than another diamond, then it is fake. The other mineral most often thought to be diamond is quartz. The only mineral you can really use to test the hardness of a diamond is a piece of corundum. Corundum is the mineral which makes up ruby and sapphire, and only diamond is harder. However, you can buy corundum crystals for testing, quite inexpensively. If the rough diamond on offer can scratch the corundum, then it’s definitely a diamond. By default, anything that can’t scratch corundum is not a diamond. To learn all the techniques on how to authenticate diamonds, click here. The cut diamonds we see in engagement rings and other jewelry are a finished product. Experts who know how to get the most yield out of a rough diamond, take a lot of time and care over the planning and cutting. In practice, less than 50% of the original rough diamond will end up in the polished stone. Because only diamond can cut diamond, two stones are used to cut each other simultaneously. Computers and lasers have improved the cutting process to a point where it is incredibly accurate. Because it can take up to 8 hours to cut a 1ct diamond, the price of polished stones is high. Rough diamonds are actually a lot less expensive. If we were to tell you that you could buy a rough diamond at F color and VS1 clarity for about $150 per carat, that’d be great, right? Well it is certainly possible by shopping around. If you do it with the intention of then sending the rough diamond for cutting and polishing, you may end up disappointed. Rough diamonds, basically, come with no guarantees of quality. What you buy may actually end up yielding very little in the way of a quality cut diamond. Factor in a cutting fee of around $120-$150 per carat, and there are soon doubts about whether it’s a risk worth taking. But, there is good news. Most rough diamonds available in stores and online will never become a cut diamond. Instead, they are used in their rough form, whether in a ring or other piece of jewelry. Regardless of the intended aim, you always need to make sure the rough diamond you buy is Kimberley certified. This guarantees that it has been ethically sourced, and as not a diamond smuggled for the purpose of funding a civil war. These so-called blood diamonds use children and adults in appalling working conditions and it is the intention of the diamond trade to stamp out their use. The usual thoughts of how to set a diamond in an engagement ring all change with rough diamonds. Because of the non-uniform nature of their shape, each ring setting fits an individual diamond. Occasionally, some are shaped slightly in order to be usable, but no faceting or polishing occurs. One of the aims is to preserve any colors occurring in the natural crystal. Prong settings are a good way of displaying rough diamonds. With no clarity or cut to worry about, being able to see the entire crystal is a real positive. The fact is that cut diamonds are expensive. Rough diamonds, despite being essentially identical in every way except appearance, are very affordable. 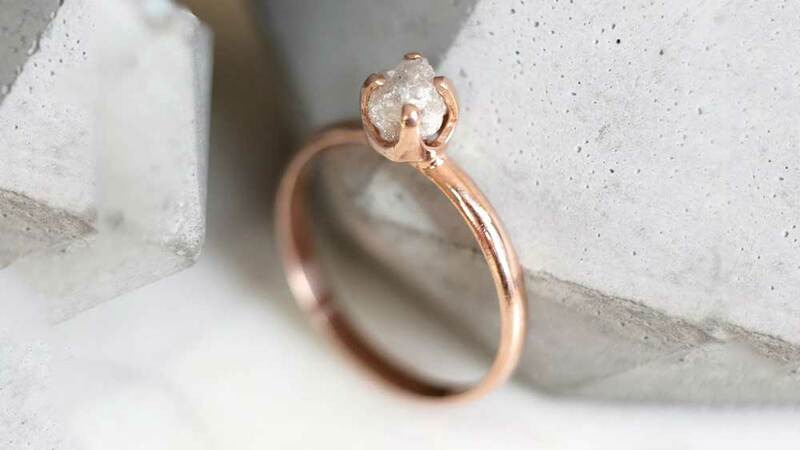 This is helping to fuel the trend for rough diamond engagement rings. As idle spectators, we rarely see diamonds in anything other than their final polished for. This also applies to the most famous diamonds ever found. The largest rough diamond ever found was also one of the most disappointing. 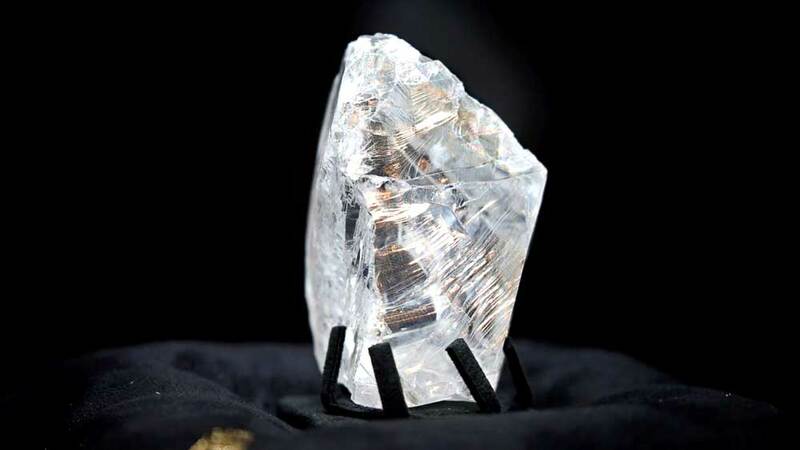 A whopping 3,167 carats, the Sergio was only fit for industrial use and was broken up in order to use. 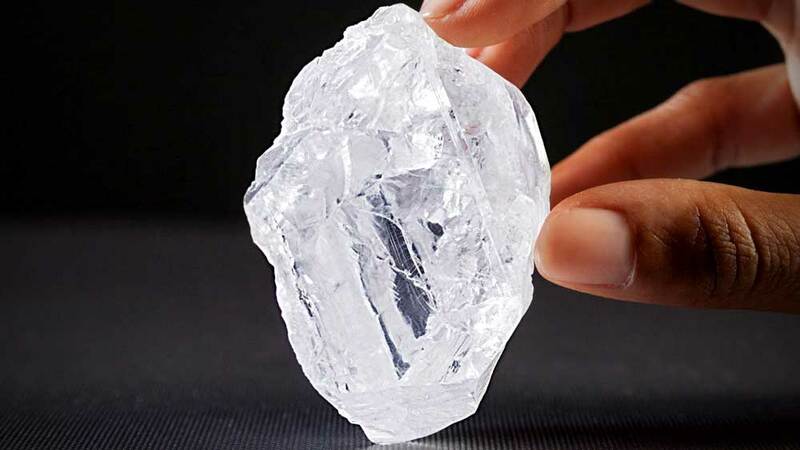 The largest gem-quality diamond ever, the Cullinan weighed 3106.75 carats. Named for Thomas Cullinan, the mine’s chairman, it actually took two years to garner enough interest that it could be sold. 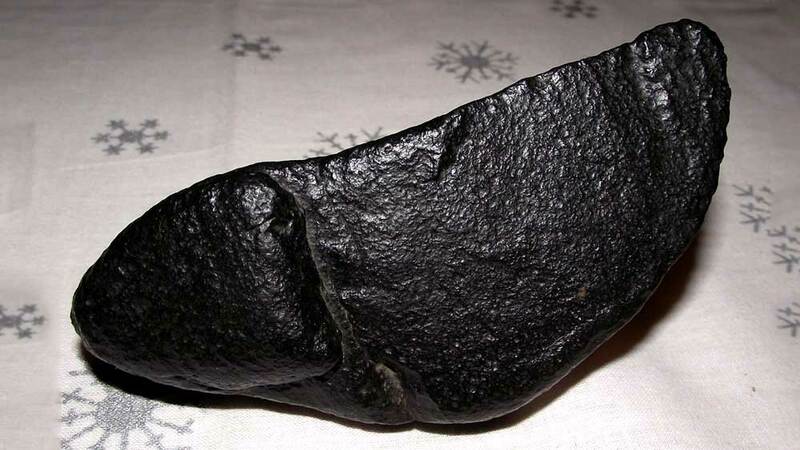 The Great Star of Africa is the largest clearcut diamond in the world, at 530.4 carats, and came from the Cullinan. Weighing 287.4 carats in the rough, the Tiffany Yellow Diamond is one of the largest yellow diamonds ever found. The finished cushion cut diamond weighs 128.54 carats and has 82 facets, 24 more than is normal. Purchased by Charles Tiffany in 1879, company gemologist George Kunz studied the rough diamond for a year before commencing cutting. Although by no means the biggest, the Taylor-Burton is one of the most celebrated diamonds in history. Originally weighing 241 carats, renowned diamond dealer Harry Winston cut it to a 69.42 pear shape in 1966. In 1969, actor Richard Burton bought it for his wife, Elizabeth Taylor at a cost of $1.1m.